What Can YOU Learn From Leonardo Da Vinci’s Resume? Leonardo da Vinci was the ORIGINAL Renaissance Man. Below is a copy of a letter Leonardo sent over 600 years ago to the House of Sforza. Look closely - it’s his resume! 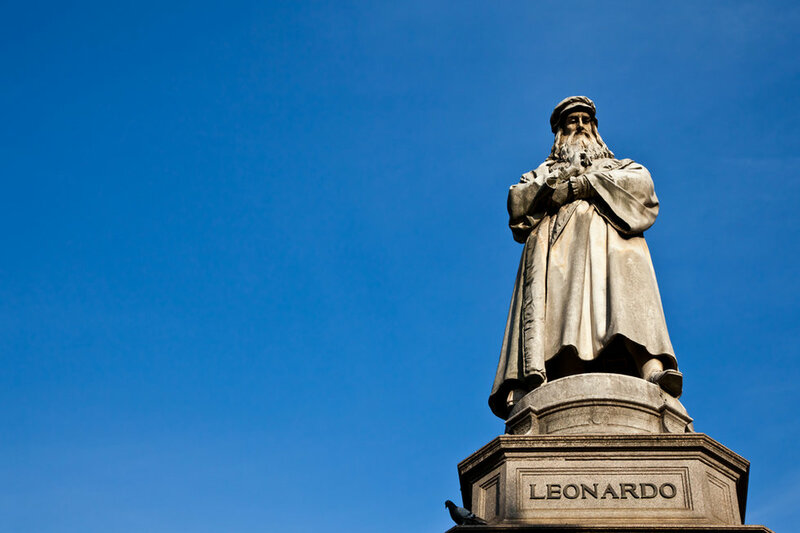 Modern day job seekers can learn a lot from Leonardo! Most illustrious Lord, having now sufficiently seen and considered the proofs of all those who count themselves master and inventors of instruments of war, and finding that their invention and use of the said instruments does not differ in any respect from those in common practice, I am emboldened without prejudice to anyone else to put myself in communication with your Excellency, in order to acquaint you with my secrets, thereafter offering myself at your pleasure effectually to demonstrate at any convenient time all those matters which are in part briefly recorded below, 1. I have plans for bridges, very light and strong and suitable for carrying very easily... 2. When a place is besieged I know how to cut off water from the trenches, and how to construct an infinite number of...scaling ladders and other instruments... 3. If because of the height of the embankment, and the strength of the place of its site, it should be impossible to reduce it by bombardment, I know methods of destroying any citadel or fortress, even if it is built on rock. 4. I have plans for making cannon, very convenient and easy of transport, with which to hurl small stones in the manner almost of hail... 5. And it is should happen that the engagement is at sea, I have plans for construction many engines most suitable for attack or defense, and ships which can resist the fire of all the heaviest cannon, and powder and smoke. 6. Also I have ways of arriving at a certain fixed spot by caverns and secret winding passages made without any noise even though it may be necessary to pass underneath… a river. 7. Also I can make covered cards, safe and unassailable, which will enter the serried ranks of the enemy with artillery, and there is no company of men at arms so great as not to be broken by it. And behind these the infantry will be able to follow quite unharmed and without any opposition. 8. Also, if need shall arise, I can make cannon, mortars and light ordnance, of very beautiful and useful shapes, quite different from those in common use. 9. Where it is not possible to employ cannon, I can supply catapults, mangonels, traps and other engines of wonderful efficacy not in general issue. In short, as the variety of circumstances shall necessitate, I can supply an infinite number of different engines of attack and defense. 10. In time of peace I believe that I can give you as complete satisfaction as anyone else in architecture, in the construction of buildings both public and private, and in conducting water from one place to another. 11. Also I can execute sculpture in marble, bronze, or clay and also painting, in which my work will stand comparison with that of anyone else whoever he may be. 12. Moreover, I would undertake the work of the bronze horse, which shall endure with immortal glory and eternal honor the auspicious memory of the Prince of your father and of the illustrious house of Sforza.